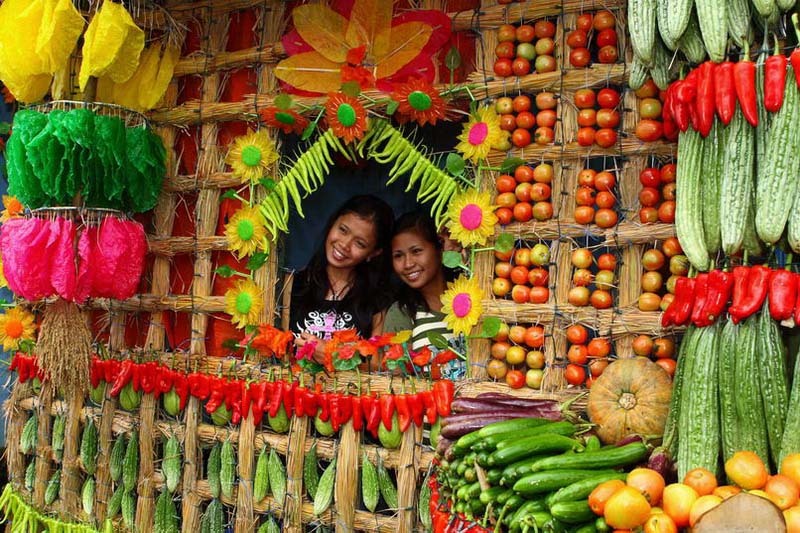 The Pahiyas Festival is held in honor of San Isidro Labrador, the patron saint of farmers. It is an annual observation in thanksgiving for abundant harvests. 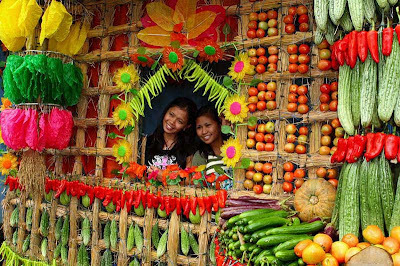 Quezon folk decorate their homes with the choicest produce; they string fruits and vegetables together and make the “kiping,” the traditional Pahiyas décor of many colors. These are leaf-shaped wafers of rice makeup and looks like Spanish tacos; these are used to liven up halls and walls, and more craftily turned into arangya (chandeliers) that lighten up the town on fiesta night itself. NOT INCLUDED: Breakfast, AM Snack, Tricycle around Lucban, Tip to the Tour Directors and Bus Driver. 2. 3 dozen of lucban longaniza, broas, cassava cakes, will be raffled off to each bus after the trip, kaya ang saya saya!! !